Duty calls once more, will we answer Kevin Spacey's cry for help? Call of Duty may not seem like a series with a lot of problems - it always sells, regardless of a growing weariness amongst critics. But last year’s Ghosts from a depleted Infinity Ward demonstrated a deficit of new ideas, their big selling point was lest we forget – a dog. With a new generation of console hardware, we needed more than a yearly update this time out. We needed better graphics, we needed new ideas… we needed Kevin fricking Spacey. Could Sledgehammer Games possibly deliver on our outrageous demands? Given that Kevin Spacey and his Spacey face have been plastered all over the marketing push for Advanced Warfare, it’s clear that on the last point at least they have delivered. Happily they’ve had a right old go at the other two as well. 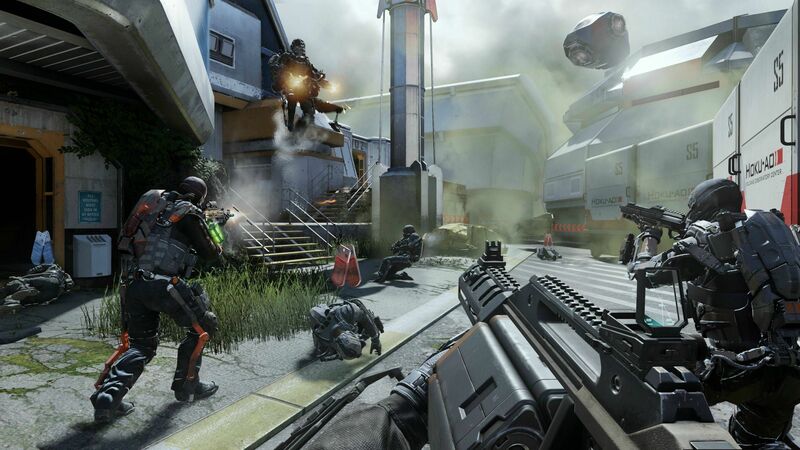 Advanced Warfare is hardly a radical re-imagining of the Call of Duty template but it does represent a step forward for the series, which has sometimes seemed afraid to stray too far from 2007’s Modern Warfare. For this outing we’re in the future, though not one of those futures where we live in space, or have been wiped out in an apocalypse. In this future, soldiers have a few more toys, drones now come in swarms and robot hands are a viable option for the super rich. It’s a very Call of Duty kind of future - terrorist threats are ever dangerous and and entire armies are less effective than elite groups of operatives sent on dangerous missions. 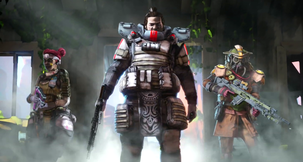 What this means for us in practical terms is that Mitchell – the person whose head we’ll be stepping inside – has an exo-suit, a frame worn outside his normal combat armour that lends him a few new abilities, depending on the mission. The suit allows us to do a nifty double jump, boosted strafes and can grant a few extra abilities, such as a grappling hook, a full on stealth mode and the ability to hover down large drops. To supplement our new-found mobility we’re also kitted out with several grenades with nifty effects such as disabling electronic devices, painting our foes red holographically and Smart grenades that seek out targets. This all sounds a little minor in truth, but bolted on top of COD’s combat system they add a sense of mobility and power to our actions. 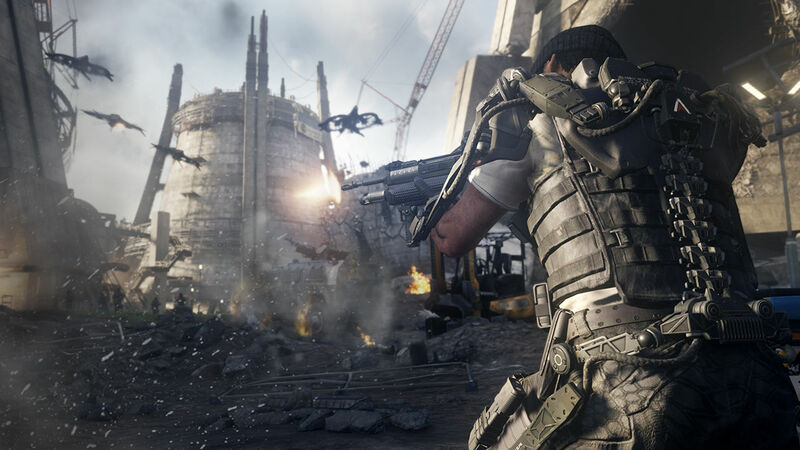 At their worst Call of Duty games can feel like a slow crawl forward as invisible roadblocks are set up that require us to kill a certain number of enemies before we can move forward. 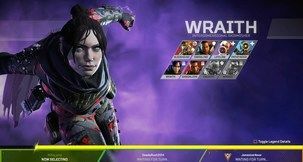 This is far less evident in Advanced Warfare and you’ll find yourself boosting in and out of cover and performing powerful melee attacks on exposed enemies. 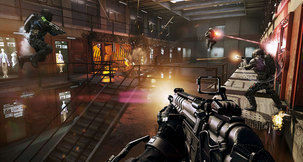 Even rooms filled with foes can quickly be cleared with timely use of your new array of grenades. The campaign only clocks in at round 6 hours, but the core of the game – shooting people in the face - never gets old. You rarely get a sense of wasting time here, there’s a forward motion and dynamism to the levels that previous titles lacked. That’s not to suggest that all of your time in Advanced warfare will be spent on foot, in fact, more than perhaps any other title in the series we’re shunted into and onto vehicles that serve to provide us with explosive spectacle and to offer a bit more variety. Here you’ll find yourself involved in high-speed car chases, high speed future jet-ski chases, even high speed ‘floaty bike thing’ chases. There’s also the most laughably bad ‘Jet fighter’ section in a game I can recall, with controls that have no weight or heft to them at all. The tank fares better and being the future there are mechs of a sort. 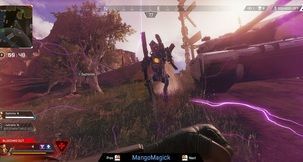 If you’re tired of being a pathetic meat-sack who requires ‘cover’ to combat hordes of enemies, stepping into the mech suit provides a welcome change of pace as you take your high powered weapon systems into the fray and fight off an onslaught. The vehicles and gimmicky stealth missions offer welcome variety to the game, mainly because none of them outstay their welcome. Marvel at the swanky new graphics engine and delight at the big explosions, just don’t expect to be thrilled by challenging gameplay or moved to tears when your faithful metal steed ends up in pieces. It’s time to come to the biggest feature of all – no not multiplayer – it’s Kevin Spacey and indeed the Spacey-centric story. While there are some decent voice and motion performances in the game, the story is laughably bad - predictable and nonsensical by turns. The very first cut-scene of the game states that two soldiers are best friends who entered the marines together, yet apparently they’re unaware of what each other’s dad does for a living. None of the characters here bar Gideon (voiced by the excellent Gideon Emery) feel like people who can possibly have existed prior to the events of the game, they’re thinly sketched tropes with transparent motivations. Still, watching Kevin Spacey dine down on a fine slice of ham keeps things moving, which I suppose is the only point of story in a Call of Duty game. What's the point in having a metal spine if you're going to wear a beanie? Inevitably we must come to the multi-player - an important (perhaps the most important) component of a COD game. While things certainly feel different to previous entries thanks to the exo-suit and futuristic weapons, it doesn’t work quite as well here as it does in the single-player. Instead of feeling empowered the additions mostly serve to make things even more frantic and twitch based than usual. Everyone can now bolt off into the sky and strafe mid air and even turn invisible. Predicting your opponent’s movement is pretty much a futile exercise, it’s about precision mouse movements and picking the right loadout. 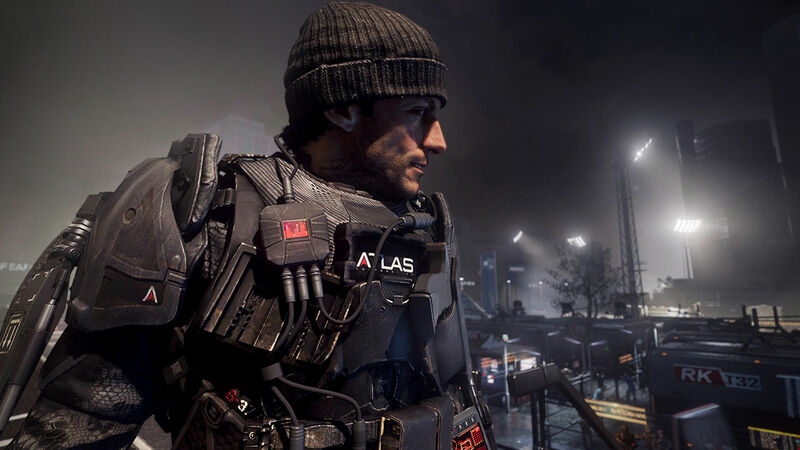 I’ve had a great deal of fun with Call of Duty’s multi-player over the years, but Advanced Warfare just annoyed me – constantly being chastised and updated on the status of the match by NPCs as people dash about. Gone is tension and the thrill of the hunt. It’s a rapid cycle of death/spawn/kill/death/spawn/kill and the constrained maps mean you’re never far away from spawning directly in your enemies sights. Perhaps I’m just old and my reflexes have decayed. At one point the game flips a switch from being almost irreversibly compromised as a solider into being a walking powerhouse. Cleverly paced, it’s hard not smile as you unleash metal hell upon your enemies. Infantry fighting has rarely been better in a series that made its name on strength of its shooting action. Finally COD has a pretty new engine to coincide with the Next-Gen. The story is laughably bad, wasting the talent involved. The multi-player has evolved into a twitchy monstrosity.